How does acupuncture work is the most common question our clients ask. Acupuncture is gaining popularity in the Midwest and across America. We often hear the same questions from new patients and people considering acupuncture. Here is our Frequently Asked Question (FAQ) page to hopefully address your questions. Please contact us with additional questions or to schedule an appointment. Acupuncture works to promote healing on many levels at the same time. Some of these healing effects have been identified and studied by allopathic or Western medicine and some are still yet to be discovered. There may be no feeling to a slight piercing sensation when the needle is inserted. After the needles are placed, a dull ache or distended feeling along the acupuncture channel is a positive sign the treatment is working well. Any discomfort is usually mild and disappears quickly. Some people will experience mild discomfort during the initial stages of healing. Since the goal is to have the body heal itself and not mask the symptoms, mild aches and changes in digestive habits may occur. Detoxification due to diet changes and nutritional supplements may also occur. Signs the body is detoxifying may include mild nausea, acne, headaches, body aches, and fatigue. These symptoms should recede after a couple of days to a week. As a person heals, treatments are adjusted to address only the remaining symptoms. 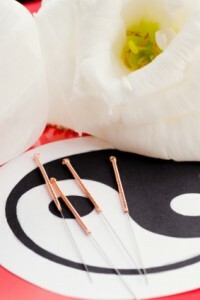 The effects of acupuncture have been researched for thousands of years and have been found to be safe and beneficial. Does Acupuncture Work for Everyone? In general, 95% of the people who try acupuncture see significant changes. Depending on your condition and your acupuncturist, the results will vary. At Isthmus Acupuncture we pay special attention to changes in your body as we choose acupuncture points to help us provide the most effective treatments. No one can predict how you will respond to acupuncture; you just have to give it a try.